A fun new picture that I finished tonight. 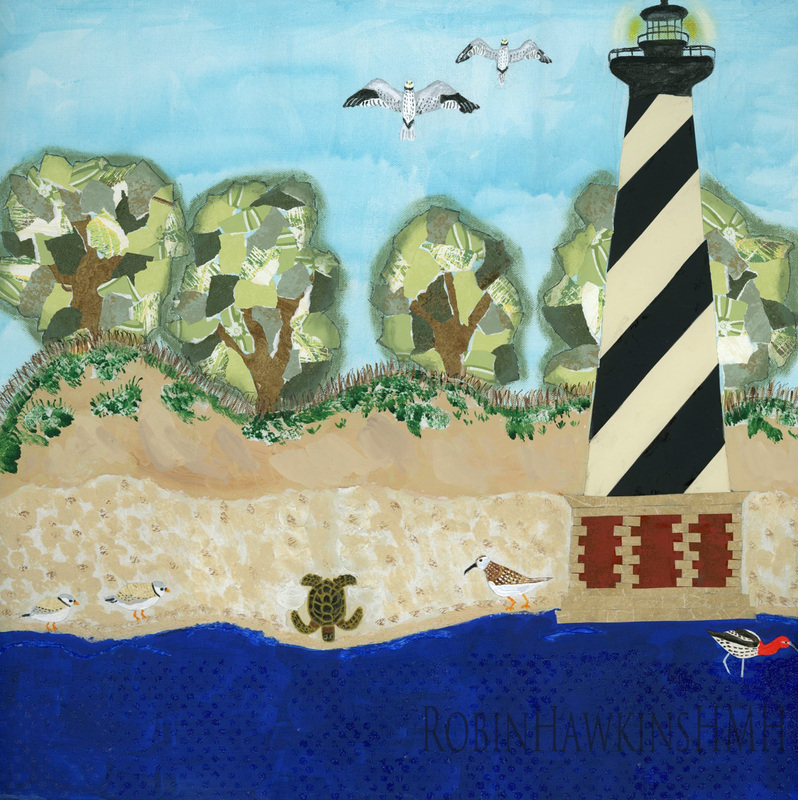 A mixed media painting of the Cape Hatteras Lighthouse and seashore. I have many elements in this as in a sea turtle with his tracks in the sand. This was done with Goldens fiber paste. The trees have torn paper and the lighthouse and birds also have paper. Acrylic paint, ink and oil paintstiks were also used.. This was a fun painting to do and a print can be purchased in my Etsy Shop. Etsy.com/Shop/HeresMyHart. Thanks for stopping!